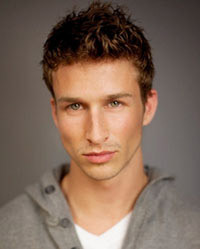 Adam Huber was born in Hollidaysburg, Pennsylvania, U.S., on May 8, 1987, is an American male model and actor. He began his modeling career in New York City in 2009. He studied Business Management at Penn State University. Appeared in Men Moments Magazine “Adam Huber: A Damn Good Boy”, shot by photographer Thomas Synnamon. He dated actress Jordan Hinson. He made his big screen debut in drama film Do You Take This Man (2016) in role as Brunch Waiter. Represented by agencies MSA Models, Boutique modelling agency and ADAM Models NYC. Treat a women like a princess. I love when people are confident in them selfs makes them hot. Modeling is just so amazing, never give up on your dreams. Love is a word you don't say unless you mean it! Let her know you love her more than anything in the world. Life's an adventure, hold on and enjoy the ride.